Do you spend a lot of time worrying about money? Do you feel out of control when it comes to your finances? Are you tired of saying "I can't afford it"? Are you living beyond your means and you know you need to take control but not sure how? Are you tired of being a victim to your bank account? I will help you take charge of your finances! You will learn how to seal your financial leaks so you can create a container to hold more. You will learn a full proof process for getting out of debt so much more quickly than you think. You will learn methods for shifting your mindset and creating more money in your life. You will learn how to manifest more money in only 10 minutes per day. Creating Wellness in our lives is not only about our physical health. It also includes your financial health. How can you feel a sense of well being when you are worried about money all of the time or barely making ends meet. Your finances definitely impact your health. What I love about money is that it is a physical representation of how we are using our energy in other aspects of our lives. How we deal with our money is also how we deal with other areas of our lives. Our beliefs about money mimic beliefs we have in other areas too. When you start cleaning up your finances (which is something you can do in the physical), you begin seeing other areas of your life clearing up as well. Start paying attention to the messages you have about money, spending money, saving money. What stories are you telling yourself and others about money? How is your money story playing out in your life? Once you start seeing what your money story is and how it is playing out in your life, you can start shifting it. When you are stuck in your belief, you are on autopilot. You create the same scenarios over and over again without realizing you are doing it. Once you step back and stop taking your story so serious, you create room to shift. In this program, we will work together on multiple levels. We will work with your money story, how you can shift this story and create your own money story! I will teach you some mindset techniques to help you receive more money into your life. I will also show you some manifesting techniques that I've used to attract money, relationships, house, name it. Are you ready to regain control of your finances? In Phase 1, we will get clear on your bottom line. Knowing where you stand creates the clarity you need to succeed. How can you create more money when you have no idea where you stand or how much you need to create? 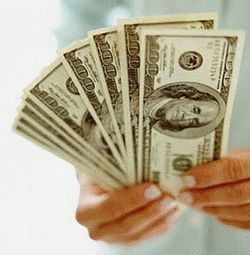 We will identify where you are leaking your money and discuss a step by step plan to seal those leaks. Get back into the driver seat. Start living the life YOU design instead of letting your finances determine your outcome. You are in charge! Create a blueprint for sealing your money leaks so you can get your power and life back! Phase 2: Countdown to FREEDOM! In this phase, you will learn a step by step plan to eliminate your debt. We will sit down and review your financial picture and come up with a plan. I will work with each person individually. In Phase 3, we will identify what is standing in the way of you creating the money you desire. We've all been taught various things about money - money is the root of all evil, rich people are ___________, it's not spiritual to have or want more money - the list goes on. Create a mindset for receiving!! Money Management 5 Week 1:1 Program $597: Click here to register.